I love writing conferences! I attended my first writing conference in 2012 and I was blown away by how much I learned, the people I met, and the overall experience. CONFERENCES ARE SO WORTH THE MONEY. Writing conferences are held all around the world, all throughout the year, so there are plenty of different options to choose from, including genre specific conferences. You can even find one day workshop events, so you don’t have to front the cost of a hotel room or take multiple days off of work. I’ve walked away from every conference I’ve attended with a notebook filled with information, tips, and suggestions. In fact, I usually walk away with SO MUCH that I feel a little overwhelmed at first. Not only do I learn from instructors, agents, and editors, but I also learn from fellow attendees. If you go into a conference ready to learn, you WILL learn something. Another great thing about conferences is that they inspire you. A couple years back, I had a story that I loved with characters I cared about. It’d been through a couple revisions, and yet something big was missing. I could tell, but I couldn’t figure out what. Then I attended a conference. While I was sitting in a class, the instructor said something that screwed in that lightbulb in my head and I thought, “DUH!” I knew exactly what my manuscript was missing. It took a full-scale revision to fix it, but a month later I had a much better book. You’ll find inspiration all over the place at conferences. Inspiration for current projects, new projects, blog posts, writing events, and more. I LOVE the inspiration that comes from conferences. 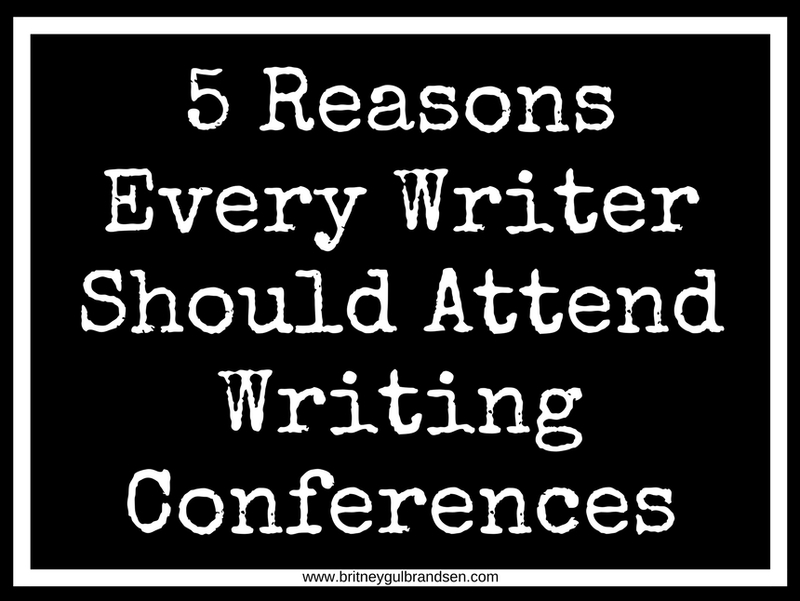 Writing conferences are filled with fellow writers and other people in the writing field. You’ll meet a ton of new people to talk writing with, swap manuscripts, and learn from. Plus, you’ll run into professional editors, agents, cover designers, and more. You’ll meet people who can help get you in touch with that perfect expert you need for research on your new project. The contacts are endless and the friendships are even better. Seriously, some of my favorite people are people I met at conferences! After spending a couple days hearing about writing, you’ll walk away with a renewed motivation to GET WRITING. 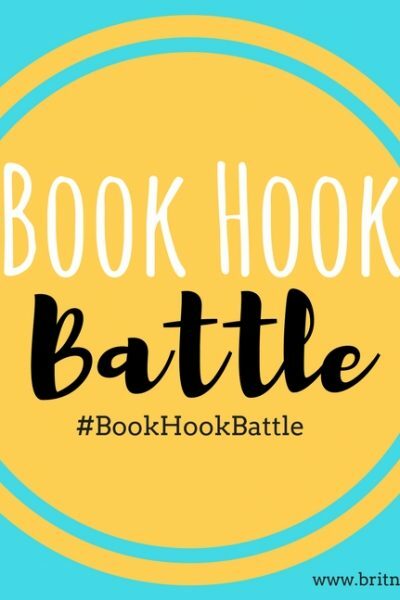 You’ll feel pumped to sit down and crank out your next book (after a day long nap, of course). You’ll have some new techniques you’ll want to apply, a tidbit of inspiration to implement, and a new checklist to check off. The Monday after a writing conference is a busy one, but it feels oh-so-good. In fact, the motivation alone is reason enough to go to a couple conferences a year! Spread them out so you’ll get that kick in the pants throughout the year to keep your momentum going. Conferences are usually jam packed with unique opportunities you wouldn’t get elsewhere. Most offer pitch sessions with agents or editors. Some have critique group sessions. There are cold reads from editors, query consults, and more. TAKE ADVANTAGE OF THESE OPPORTUNITIES. I can’t stress this enough. Many of these opportunities cost extra, but if you can afford it, do it. There are so many great reasons to attend conferences, so this was only the tip of the iceberg. And there are a million different conferences out there. So if you’ve never been, start researching, planning, and saving so you can go to one. My favorite conferences are the American Night Writers Association (ANWA) conference in Phoenix, (it starts two weeks from tomorrow, so you still have time to sign-up for this year! ), the Storymakers conference in Provo, UT, and Writing and Illustrating for Young Readers (WIFYR) in Sandy, UT. I attend ANWA and Storymakers every year, and WIFYR whenever I’m able. What conferences have you attended or do you want to attend? Get the How to Create A Writing Routine workbook FREE! 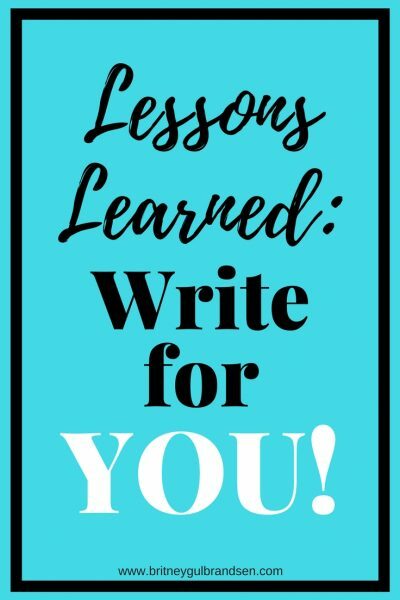 Receive writing tips, updates, and all things books straight to your inbox!